On the 8th March, the world will be celebrating International Women’s Day. All around the globe women have been making astounding contributions throughout history, often not getting the recognition they deserve. To celebrate some of our own unsung heroes, we’ve put together a list of amazing women who have contributed to zoology through the Zoological Society of London. If the name Raffles sounds familiar that’s because it’s the surname of ZSL’s founder Sir Stamford Raffles. Mr. Raffles is famous for founding the city of Singapore, and also created the Zoological Society of London. However, behind this very famous man is a not so famous woman – Sophia Raffles. Sophia Raffles is the first woman to become a fellow of a learned society. In fact, she joined the Zoological Society of London in 1826, making ZSL the first society to admit women. While her husband is famous for his exotic deeds, Sophia was also braving these travels alongside him at a time when most women would elect to spend their time safe in the British countryside. After her husband’s death, Sophia wrote about their time together and created her husband’s biography. Evelyn Cheesman was a woman that let no patriarchal boundaries stand in her way. In 1906, she applied to become a veterinary surgeon yet was refused entry as the Royal Veterinary Society didn’t admit women. Undeterred, Evelyn set out to find other ways to pursue her passion for wildlife. When the First World War broke out many new positions opened up to women. In May 1917, Evelyn took up the position of Assistant Curator of Insects at ZSL London Zoo. Stepping into her role at ZSL London Zoo, Evelyn found the Insect House to be sorely lacking (it was, in fact, mostly made up of pretty looking flowers) so she took up her net and used a billy-can to collect new stocks – she even got local children to help. 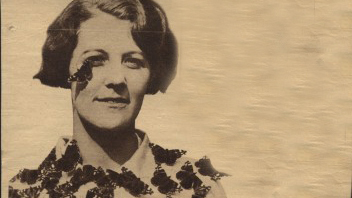 Impressing her superiors, Evelyn became the first female Insect House Curator in 1920. This new position allowed her to pursue her passion for bugs further and she soon became renowned for the lengths she would go to collect exotic species. Cheesman was the first woman to undergo a solo trip around the South Pacific – a journey even men refused to undertake on their own! In her lifetime she led 8 expeditions to the south pacific, her last at the age of 73. During her travels she accomplished amazing feats such as befriending a tribe of cannibals and getting stuck in a giant spider’s web! Joan Procter was something of celebrity in her time. Like Cheesman, she was appointed as Curator at ZSL London Zoo, looking after the reptile section. Her achievements in this field were ground-breaking. Some of Procter’s most notable works were in the Reptile House, a structure that she aided in the design of and was the first purpose-built building of its kind in the world. You can still find a bust of Joan when entering the Reptile House, which is still being used today by our own keepers. Scientifically, Joan presented her first zoological paper to ZSL at the age of 19 and continued to be well regarded in the herpetology throughout her lifetime. It would be fair to call Miriam Rothschild a super scientist, having published over 300 papers in her lifetime! She was the first woman to be made an honorary Fellow of the Zoological Society and in 2000 even became a Dame. Miriam’s credit within the scientific world was so great that she was one of the few women to ever be on good terms with the eccentric geneticist E.B. Ford, who famously campaigned against the admission of female Fellows to All Souls College (more fool you, sir!). One of her most famous discoveries was identifying how the jumping mechanism works in fleas, establishing them as the most incredible high jumper in the animal kingdom. She also published the hugely successful book ‘Fleas, Flukes and Cuckoos’, which looked at the parasites of the animal world. Miriam’s legacy still continues on to this day, as another of her amazing achievements was to be a founding member of the International Union for Conservation of Nature (IUCN).